The persistent wind, rain and snow is not much fun during the winter and it can play havoc with your skin. The cold weather can rob you of the vital moisture your skin needs to stay youthful and supple, leaving it dry, chapped and irritated. You’re not safe inside either, as the warmth indoors can lead to further moisture loss, further exacerbating the issue. Looking after your skin at this time of year can be tricky and with that in mind, we’ve put together a few tips to help you keep yours in good condition and looking youthful. Try and ensure that when you go out, that you place a barrier between your skin and the elements. Hats, scarves and gloves are a must, with some sunscreen thrown in for good measure for the areas you can’t cover with garments. The winter sun might not warm your face like it does during Summer, but it can be every bit as damaging to your skin. There is an obvious necessity for heating systems to be used during Winter, but the problem is that as well as keeping us warm, they also dry out the air. This can really dry out your skin, which is why investing in a humidifier is a good move, especially for use in the bedroom, as they replace the air moisture that heating removes. There’s nothing so appealing as a hot bath or shower on a cold day, but whilst it might feel good, it’s not terribly good for your skin’s condition. Wherever possible, choosing to wash your hands and face in lukewarm water will ensure that you don’t lose any of those vital oils from your skin’s surface. Tip 4 – Hydrate! Hydrate! Hydrate! One of the most important ingredients to healthy skin is hydration. Whilst it may feel better to have a warming drink during Winter, you need to drink lots of water and hydrate yourself from within. Get this part right and you’re halfway there! Whilst all moisturisers claim to do the same thing, those that contain ingredients derived from petroleum can actually serve to cause more dryness issues than they solve. Aim to use a natural oil based moisturiser and you’ll help your skin to retain more of its moisture during Winter. Clearing the skin’s surface of dead cells is important, because if you don’t, then less moisture is going to be able to pervade down into your living cells. An exfoliating mask is something that can help and not just on your face either, but also on your hands. Follow this with a suitable moisturiser and you’ll notice a big difference in your skin’s condition. If you’re someone who suffers with sensitive skin, you’ll find that your problems worsen during the winter and the cleanser you use might not be helping. Some brands of standard cleanser contain chemicals that can irritate the skin, so opt for milder, hydrating varieties that don’t contain salicylic or glycolic acid. Not enough people put a lot of thought into which clothes detergent they use, preferring to go for whatever’s cheapest or has the best advertising. If you use the wrong, harsh type of detergent to wash the clothes you wear every day, your skin could end up suffering. There are plenty of brands on the market that are kind to the skin, so finding one shouldn’t be too difficult. As they say “if you look after your skin, your skin will look after you” and the reason this phrase is popular, is because it’s true. Employ even just a few of the tips from our list and you should see a significant improvement in the softness and overall condition of your skin during the colder months of the year. We hope you’ve found our blog of use to you and that it helps you protect your skin this Winter. Just remember to wrap up against the elements, hydrate and stay looking as young and fabulous as you know you are. One of the biggest misconceptions circulating the health and beauty sector right now is that dermatology is specific to women. A decade ago, you might have said that this statement is true. In this day and age however, it is far from it. In the last 10 years, there has been a strong shift in the male attitude. More and more men are now interested in looking younger, and that is why these procedures are becoming more and more popular. Botox is a gateway procedure for a lot of men. At first, men were very hesitant to give it a go. They were worried that they would end up looking stiff and even expressionless. This is not the case at all, and nowadays it is able to soften the wrinkles and even the fine lines around the eyes. This gives a very refreshing look and it can also make you look 5 years younger. Men who want to have a tighter and firmer appearance should really look into lasers. Fraxel is very invasive and it also requires you to have a lot of downtime as well. 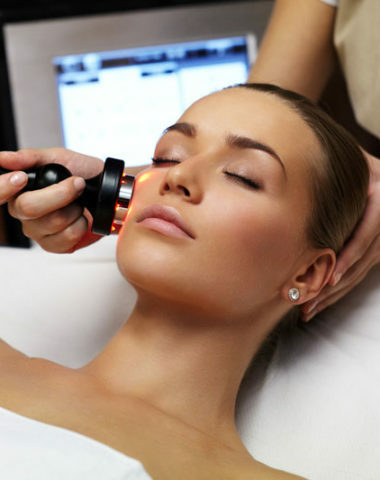 Lasers on the other hand can really help you to get that youthful appearance and it is ideal if you want to look very youthful in a short space of time. If you have never considered trying lasers before then you should certainly look into it for yourself, as it can shave years off your look. A lot of men are afraid of cosmetic procedures because they fear that it will make them look feminine. This is why a lot of them shy away from cosmetic filler. There are however more masculine techniques out there that can help you to look younger with ease. The key is to use a much lesser amount as this can give you a very natural undertone. It can also be used to create a very youthful look as well. If you use the treatment around the eyes then this will prevent dark circles and it will also stop you from having that “tired” look. It is more than possible for you to destroy fat and there is now a liposuction alternative available. You only have to undergo a couple of sessions and they will only take half an hour each. You won’t have to worry about your beer belly or even your spare tyres anymore, and the treatment has been completely approved by the FDA. This has the ability to destroy 24% of your fat and it is a very safe procedure. The best thing about having this done is that it can ensure results and it doesn’t take long at all. 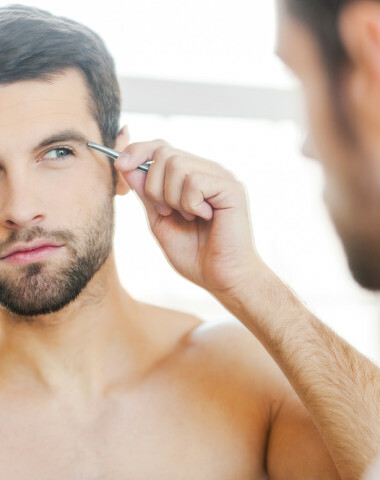 More men are now opting for laser hair removal now when compared to ever before. The treatment began for women who had leg hair, but men opt to have it done on their ears, between their eyebrows and even on their back. It is also possible for you to have it done on your chest as well. The technology for hair removal has really advanced over the years and there are many alternatives for you to choose from as well. If your hair is not black however then you may have a problem getting this done, so do keep that in mind. So, there are many options available if you want to get a procedure done and you would be surprised at how easy it is for you to get the perfect body and without any compromise. Dr. Rao will take the time to listen to your concerns and create a treatment plan tailored to suit your goals, skin, and budget. Contact us today for your free consultation by filling in the form below. Just as fashion trends change so do the trends in cosmetic skin treatments. It wasn’t very long ago that you would have seen a myriad of over-filled lips and cheeks gracing the covers of every major magazine at your local supermarket. Fortunately, this trend has given way to a softer, more natural, refreshed and rejuvenated look rather than artificial and unnatural. The new trend in more natural-looking cosmetic skin treatments also matches Dr. Rao’s approach and his belief in moderation and maintaining proper facial proportions. The goal is still to look younger but in a way that is more appropriate for your age. Throughout the aging process, bone and fat pads under the skin that act as a scaffolding, start to thin. This leaves the skin to sag like a deflated balloon and appears drawn, tired and wrinkled. Every Face Ages In Different Ways. No face ages the same way. Some people notice their cheeks flattening in their 30’s while other lucky individuals keep that desired “apple” roundness well into their 70’s. This is why we always start with a consultation, so we can take note of your current appearance and come up with a tailored solution that will rejuvenate and refresh it by pinpointing the specific areas that need attention. Age-related volume loss occurs in many areas of the face, cheeks, temples, tear troughs, lips and beneath the corners of the mouth. Dermal fillers are an ideal way to combat this loss and help give a natural-looking correction where needed in a balanced, even way. One effective method that we use to maintain a natural appearance is to first, re-build that loss in facial volume using a thick filler such as Juvederm. Then, if needed, we can help plump up the areas closer to the surface with thinner fillers such as Juvederm or Restylane which will achieve softer, more refined results. 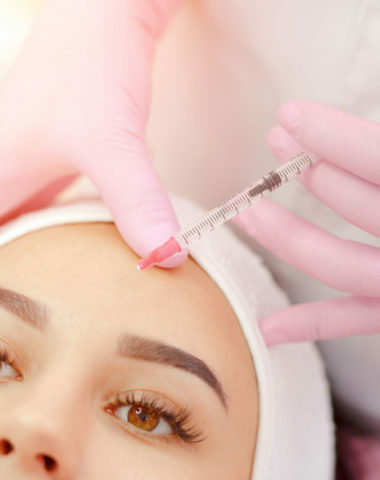 For the finer lines around the eyes and forehead, we can use appropriate amounts of neurotoxins such as Botox to help smooth out and relax the underlying facial muscles. Once again, these treatments are tailored according to the depth of the patient’s lines and the strength of their facial muscles in order to give a natural, youthful appearance. For a natural cosmetic enhancement, it is vital to seek out an experienced physician with an aesthetic vision. This will bring out your best features and allow you to look and feel your best. No matter how hard we try, we cannot avoid the aging of our skin. It is an inevitable part of life that is worsened by many factors such as UV exposure, our environment, daily routine and, most of all, the passage of time. Our skin is not only the largest organ of our body, but also an expression of our identity, lifestyle and choices we made. This explains why many of us try our best to keep it looking as good for as long as possible and to deflect the endless attacks of the biological and environmental forces on its youthfulness. There are many ways aging can affect our skin including wrinkles, volume loss, sagging, dull skin tone, age spots and spider veins. Genetics and family history play a big part in how each person ages. If your genetic history includes individuals who aged noticeably faster, there is a good chance the same thing will happen to you but we offer a number of treatments that will help slow this process down. Our skin’s health can be directly tied to our internal health. Leading an unhealthy lifestyle is eventually going to leave a mark on our physical appearance. Sun exposure is responsible for most of the visible aging of your skin – far more than all other factors combined. Sunrays are harmful to our skin and cause damage in the form of pigmentation, volume loss and texture problems. Wrinkles at the corners of the eyes (crow’s feet) or between the eyebrows (frown lines) are caused by small muscle contractions. Over a lifetime, regular facial expressions like frowning, smiling, or squinting leave their mark on our skin. Tiny vessels in our face and body can become more visible when exposed to trauma as we get older. areas of the skin, particularly around the cheeks and nose, may become reddish or you may notice small veins on your face. As we age, our skin loses the ability to produce its own collagen and hyaluronic acid, resulting in many skin imperfections like volume loss and a lack of firmness and elasticity. 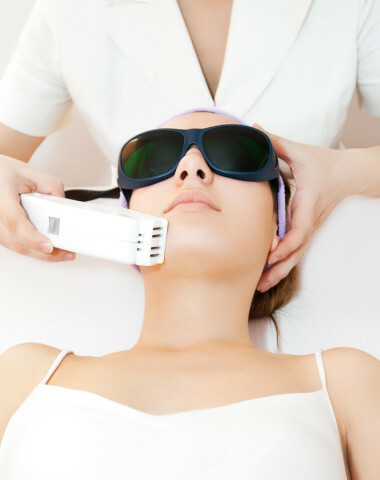 Our range of effective laser treatments includes IPL, Nano Laser Peel and Laser Genesis. Our laser treatments help correct the conditions typically associated with early skin damage and aging, stimulating the body to generate new collagen, which strengthens the skin and reduces unwanted redness and wrinkles without any side effects. At Rao Dermatology, we can offer a variety of facial fillers such as Juvederm, Emervel, Revanesse, and Radiesse. With the expert skills of our luminary injectors, we can give you a natural soft lift and fullness that will instantly refresh your look and reverse the signs of aging. Our range of TermiRF treatments delivers radiofrequency heat to provide solutions for a variety of cosmetic concerns including aging skin without any social downtime. Book your free consultation with us today. Dr. Rao will take the time to address your specific needs and answer any questions or concerns you may have about the various anti-aging procedures offered at Rao Dermatology. He will also make specific recommendations as to the best treatment plan for achieving your desired results. Forehead or frown lines can present a frequent problem for both men and women at as the year’s rolls by. As we age, our skin starts to lose tightness and cannot return to the same place it was in our younger days. When the effects of aging begin to affect our skin, it’s not because of some uncontrollable element. Instead, it is because we start to lose the collagen that once flowed through our skin to keep it smooth and protect it from external factors. Collagen has a diverse set of responsibilities within our bodies, one of which is renewing old and damaged skin cells with newer and vibrant ones. As levels of collagen are reduced, so too is the natural process that replenishes the skin, leaving us with forehead wrinkles and folds that only serve to make us appear older. There is even one particular variety of frown line is referred to by its terrible nickname: the 11s. Why? Because this type of frown line forms two pronounced vertical wrinkles between your eyebrows, resembling the number eleven. No matter what name we give them, we’re all thinking the same thing: where did the frown lines come from? And, more importantly, what’s the best way to get rid of them? What Causes Your Frown Lines? As we mentioned earlier, the number one cause of frown lines is aging. As you get older, your skin loses some of its elasticity. That means it’s harder for your skin to bounce back to its original state. As a result, lines and wrinkles are more likely to stay in place for longer. Another frequent cause of frown lines is DNA. Genetics play a significant role in your skin type. Some skin types are more receptive to frown lines, while others are more resilient and will withstand wrinkles for longer. It’s an old myth that frown lines are caused by frowning. In reality, frown lines are created by frequently making any facial expression that causes your eyebrows to furrow. This can include squinting, smiling, and even laughing. Everyone’s face is unique, so different wrinkles form for different people, even when they’re making the same facial expression. We all know the sun can damage our skin. But did you know sun damage can actually cause frown lines? The sun’s harmful UV rays break down collagen and elastin, two important proteins that keep your skin looking young and beautiful. Without these crucial proteins, it’s easier for frown lines to form. While stress is never good for your health, it can be especially bad for your skin. Being stressed out can cause you to scrunch your face up repeatedly. And as we mentioned earlier, these repeated facial expressions often lead to frown lines. If that’s not bad enough, stress can also lead to breakouts and irritated skin. We understand this isn’t breaking news but, in case you haven’t heard, smoking is harmful for your skin. Smoking can cause all sorts of wrinkles, including frown lines. By injecting neuromodulators (botulinum toxin type A) beneath the surface of your skin, we can reduce the muscle contractions in your face, ultimately smoothing those creases and softening those lines, helping to bring back your youthful skin. PRP is an injectable therapy that uses your own blood platelets to rejuvenate your skin. By drawing your blood and spinning it down, we then inject the platelets into your skin to improve texture, links, and wrinkles. By placing it deeper into areas like your frown lines, PRP can stimulate other cells to create fuller, healthier looking skin. Because PRP uses your own cells and tissues, the side effects are significantly lower than neuromodulators or dermal fillers. 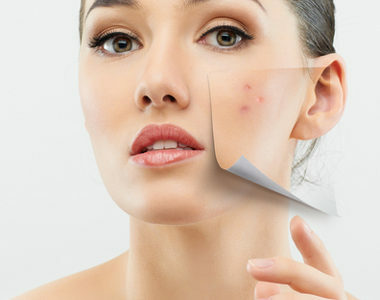 Changes to the skin with PRP are gradual and continue for three to six months and it lasts for about two years. If you want to book a free consultation to learn more about how we can help smooth out your forehead and frown lines simply fill in the form below. Dermal fillers, also known as injectables, are a go-to treatment to even out acne and chicken pox scars and to mitigate aging concerns: deep creases, fine lines, wrinkles, eye hollows, thinning lips, and slackened cheeks and temples. A dermal filler is either a natural or synthetic material that’s injected into your skin to plump the area. Natural fillers use substances derived from humans or animals (like hyaluronic acid, which is the most common), whereas synthetic fillers work with the muscles, making them semi-permanent. Because dermal fillers come in so many varieties with different consistencies and results, your dermatologist will select the best product for your unique skin and concerns. All fillers are temporary, with some lasting longer than others depending on the type of filler and your skin’s absorption. By nature, fillers fill – they’re injected into your skin’s trouble spots (hollows or wrinkles) to increase fullness and restore youthfulness. But today, they’re also used to sculpt the face to enhance and naturally alter your looks. From plumping your lips to non-surgical facelifts and nose jobs, dermal fillers can create symmetry, add volume, smooth out lines and creases, define jawlines, and augment cheeks – they offer total rejuvenation. Not only to fillers fill, but they boost collagen production, improve internal hydration, smooth texture, and even out complexions. Using a fine needle, we inject fillers into your skin, so while it doesn’t hurt too much, it is uncomfortable. Some areas, like your lips, can hurt more than others, but it also depends on individual pain tolerances and experiences – everyone is different. You also have the option of applying an aesthetic cream before your treatment. Some fillers include lidocaine to reduce that discomfort, but the procedure only takes about 15 to 30 minutes (you can do it on your lunch break) so it’s over quickly. Will My Face Feel Different After? Aside from a new fullness in previously hollow areas, your face shouldn’t feel different. For some, there’s a risk that some lumpiness may occur, but its often a result of bruising or swelling and will dissipate as you heal. You can prevent lumpiness by preventing swelling and bruising: come early so you can ice the areas before your procedure and then be sure to ice afterwards. Let us know if you bruise easily or have had bruises in the injection areas so we can be more careful or avoid the area. Dermal fillers are temporary, lasting six to twelve months, but if you’re really unhappy, they can also be reversed within 24-48 of injection with an enzyme that metabolizes the filler quicker. As you age, facial fat diminishes, leaving your skin sallow, gaunt, and sagging. Where Botox® paralyzes muscle movement to minimize and prevent forehead lines and crow’s feet, dermal fillers add volume and work particularly well around the mouth, cheeks, and under eyes. Since they both approach age related skin issues differently, the two are often used in tandem. What Are the Risks and Downsides? When you have an experienced dermatologist inject your dermal fillers, the risks are significantly reduced – you want an ethical, educated, and experienced professional consulting and performing your procedure to get the best results. However, redness, itchiness, tenderness, bruising, and swelling are common side effects that can be mitigated by icing, avoiding smoking and exercise the day of your procedure, and staying away from fish oil and anti-inflammatories. The only real downside to dermal fillers is that they need to be maintained since your body will eventually metabolize the filler, meaning that follow up appointments are crucial to maintaining your results. Curious about what dermal fillers can do for you? Contact us today for a free consultation by filling in the form below. As we age, sometimes the skin above and below our eyes changes: it becomes loose, puffy, or saggy (sometimes even interfering with vision and absolutely making eyes appear smaller and squinty); fatty deposits become more prominent; crow’s feet deepen; permanent bags form beneath our eyes; and lower eyelids droop. But a blepharoplasty, or eyelid surgery, can dramatically reverse these signs of aging. While you aren’t going to look like a completely different person, it will help you look younger and more awake (and it will definitely stop the comments on your tired appearance). Using laser technology, a blepharoplasty removes and tightens excess skin and reshapes the eyelid, smoothing out creases and hollows and opening the eyes to create a more youthful, energetic appearance. As with all surgical procedures, the best candidates are healthy nonsmokers without medical conditions that can delay healing. ideal candidates for eyelid surgery are over 35 with puffy or sagging upper eyelids, no serious eye conditions, and realistic expectations. At your free consultation at Rao Dermatology, we’ll discuss your goals, medical conditions and history, lifestyle, and previous treatments and surgeries. We’ll take pictures of your face to point and discuss options and recommend the best course of treatment. Sometimes, a brow lift, skin resurfacing, or chemical peels can be paired with a blepharoplasty for optimal results. It’s completely normal to feel nervous, so be prepared to ask questions. The consultation is the best time to address your anxieties and your excitement to ensure we’re tailoring the procedure to your goals. 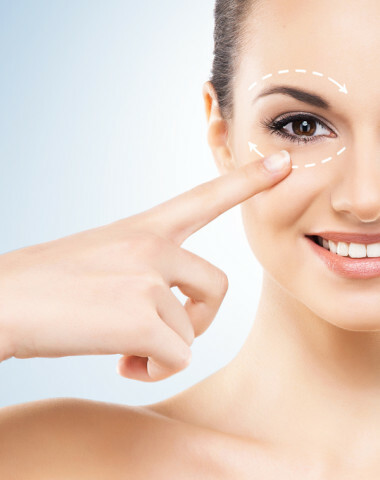 An eyelid surgery procedure can be performed on the upper eyelids, lower eyelids, or both and begins with anaesthesia. saggy, excess skin. For the lower eyelids, the incision is done just below the lower lashes. For some, a transconjunctival incision may be uses (inside the lower eyelid), but excess skin cannot be removed with this type of incision, only fat. To close the incisions, we use either sutures or skin glue. While the recovery time is typically quick, the day after surgery, you can expect both bruising and swelling, but it should disappear quickly. Cold compresses and light activity in the first 48 hours following surgery can minimize bruising and swelling and accelerate healing. Typically, bandages are removed in a couple of days, while stitches are removed after a week. You’ll want to take a few days off work and avoid both makeup and contact lenses for about two weeks so you can best heal and recover. Expect to return to your normal activities between 7 to 10 days after surgery. A blepharoplasty won’t stop you from aging, but they are long-lasting and they roll back the years – sometimes resulting in you looking 10 years younger! Most people are thrilled with the subtle yet dramatic change to their appearance. 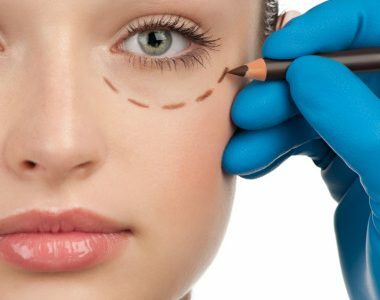 Think an eyelid surgery is for you? Book your free consultation today using the form below.